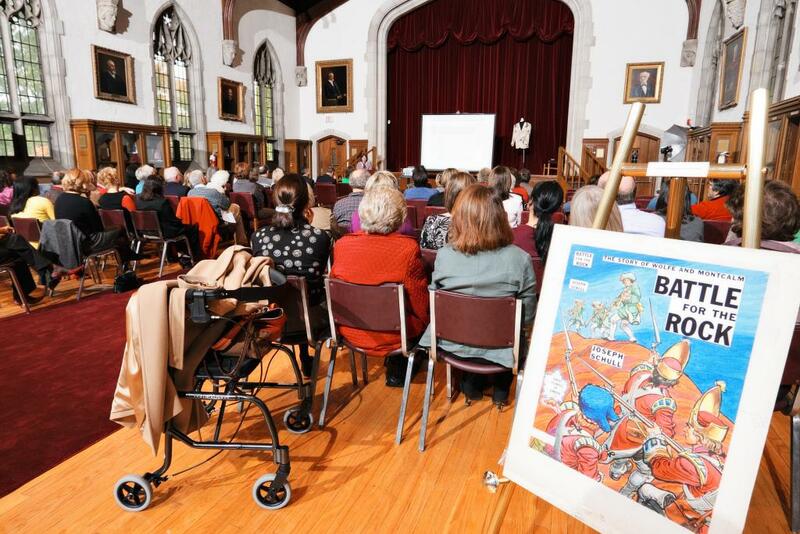 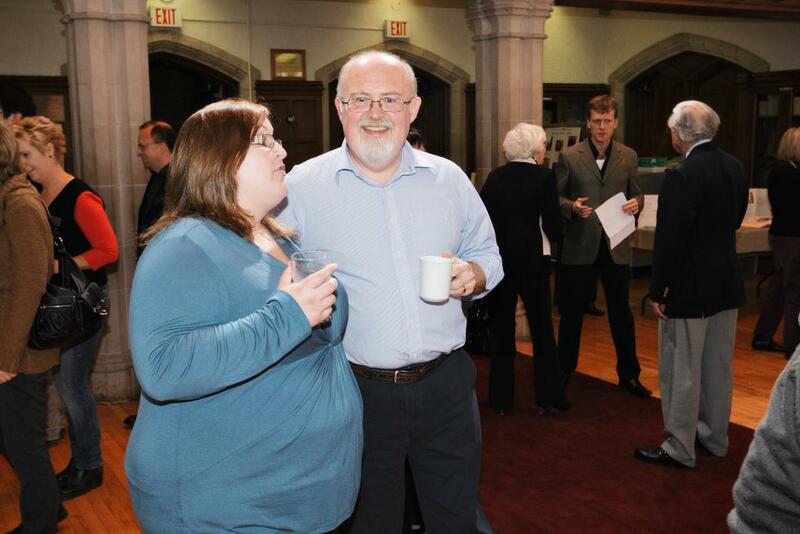 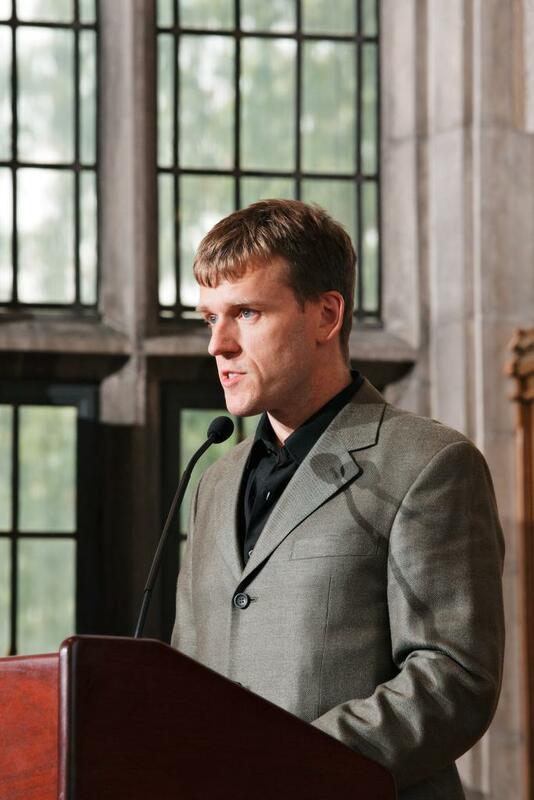 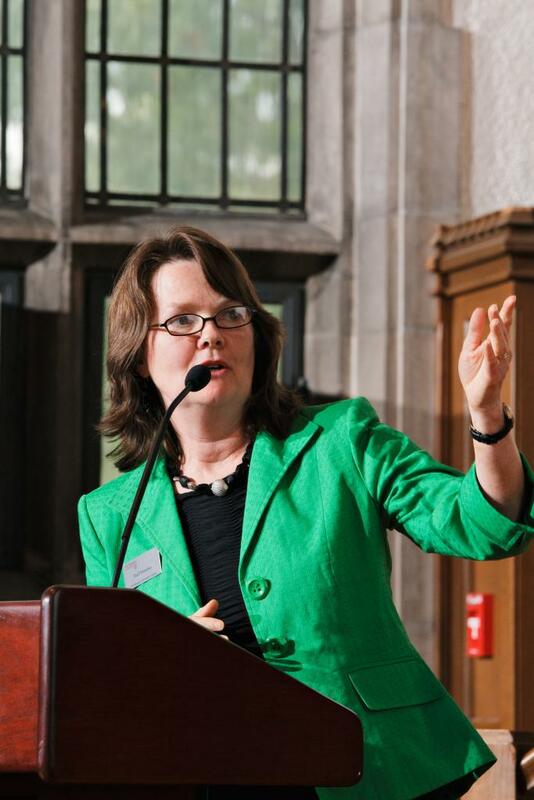 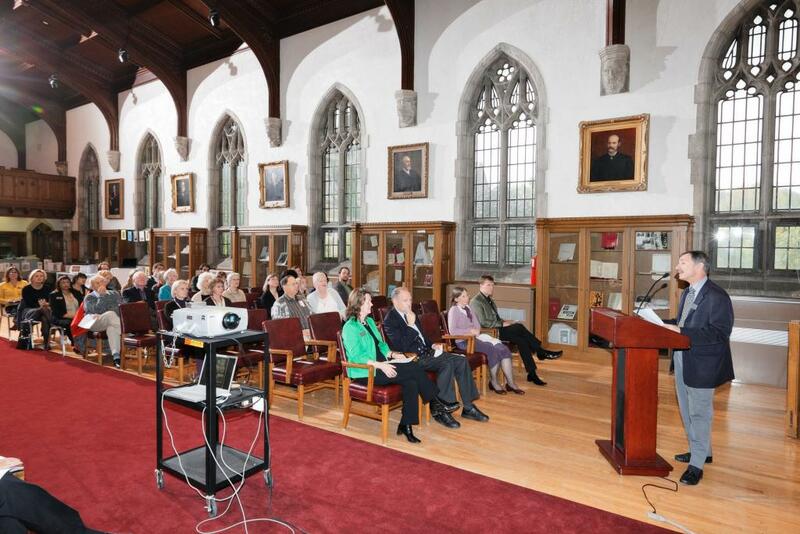 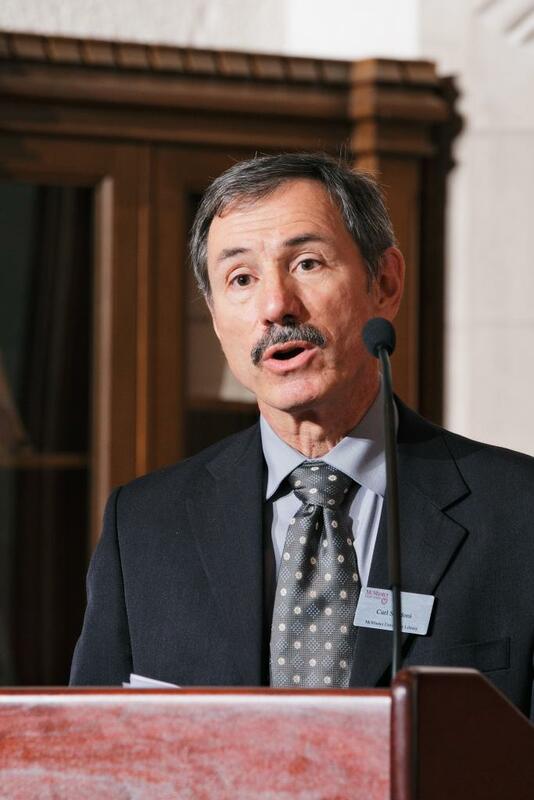 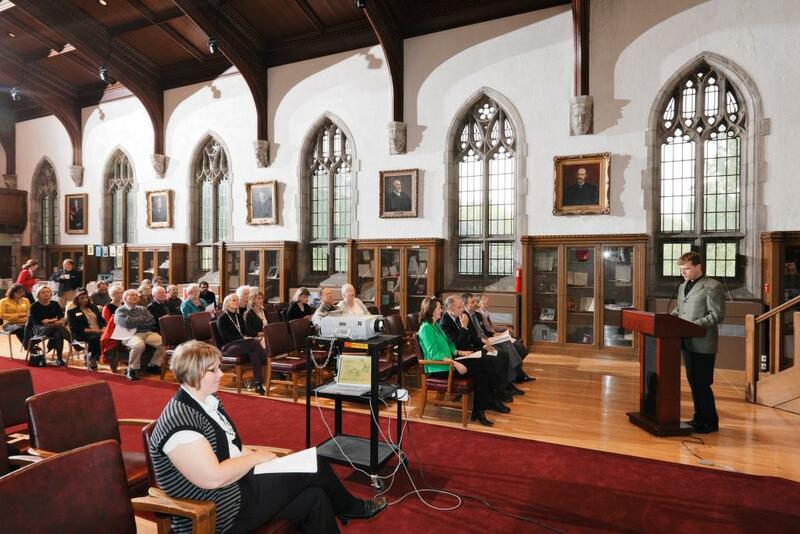 The celebration of the launch of this website was held at Convocation Hall, McMaster University, hosted by McMaster University Library. 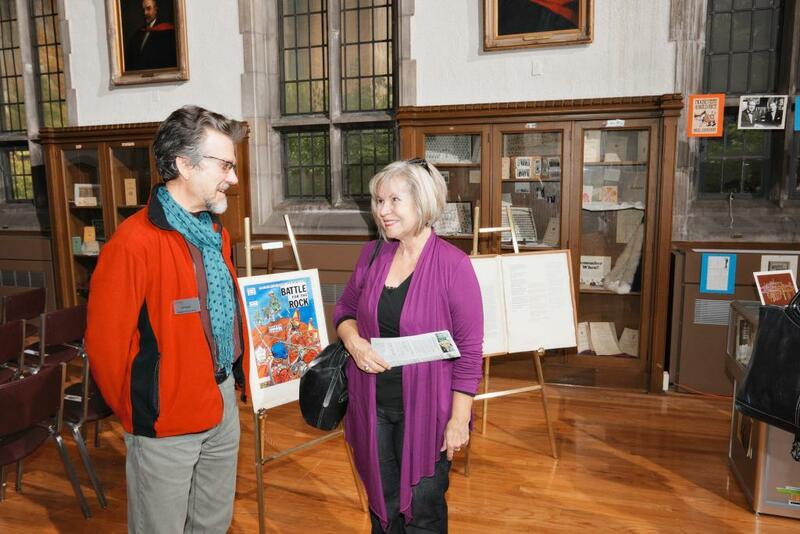 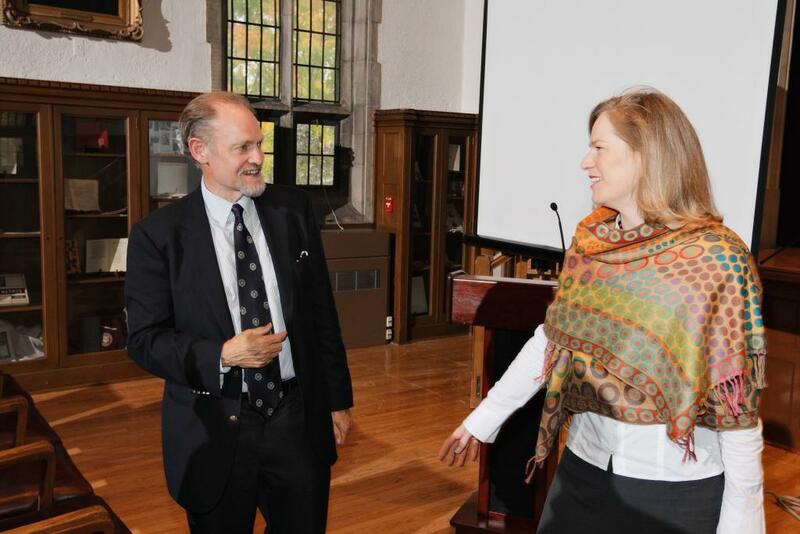 The reception featured entertaining and informative talks by publisher Douglas Gibson of Douglas Gibson Books, and printer, artist and press owner Margaret Lock of Locks' Press, Kingston Ontario. 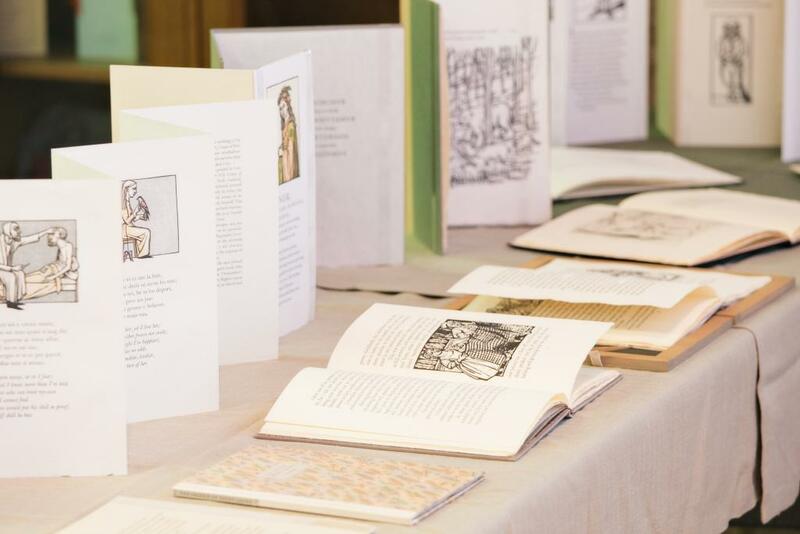 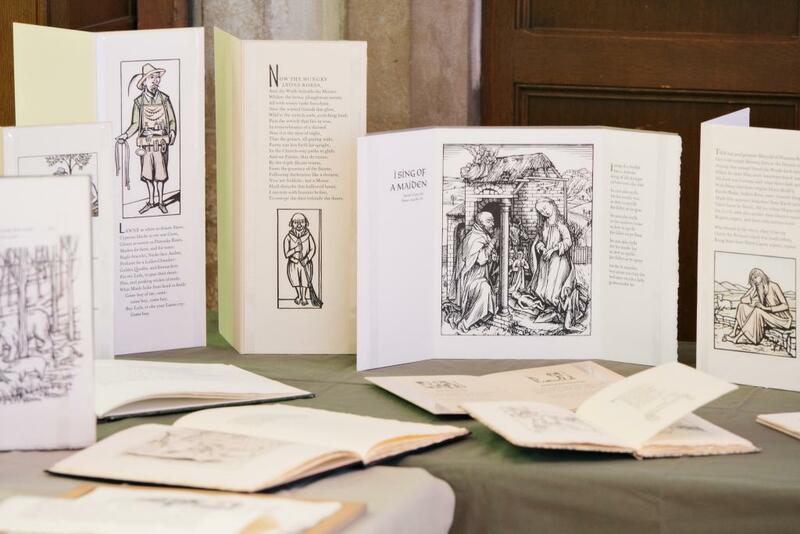 Margaret Lock also displayed examples of the beautifully-crafted broadsides, pamphlets, and small books produced by Locks' Press. 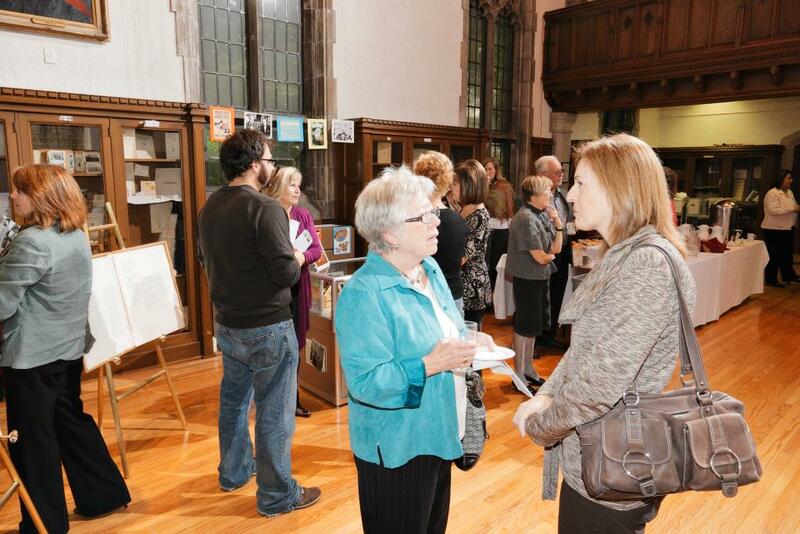 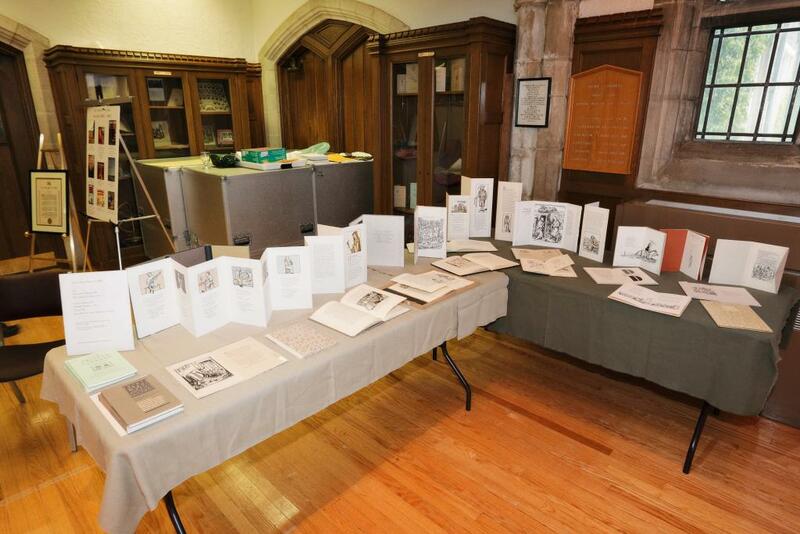 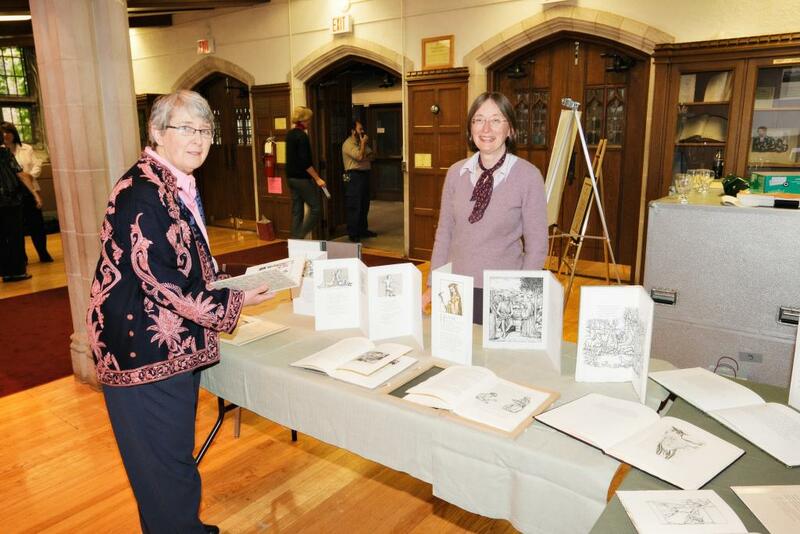 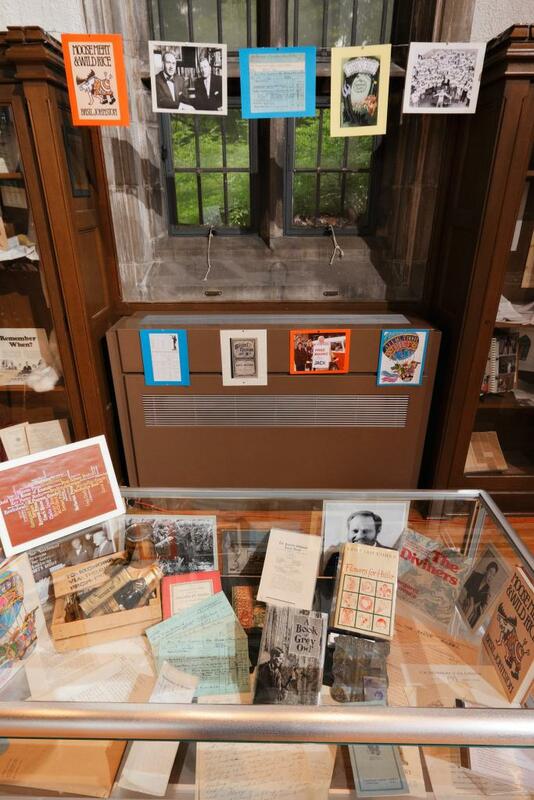 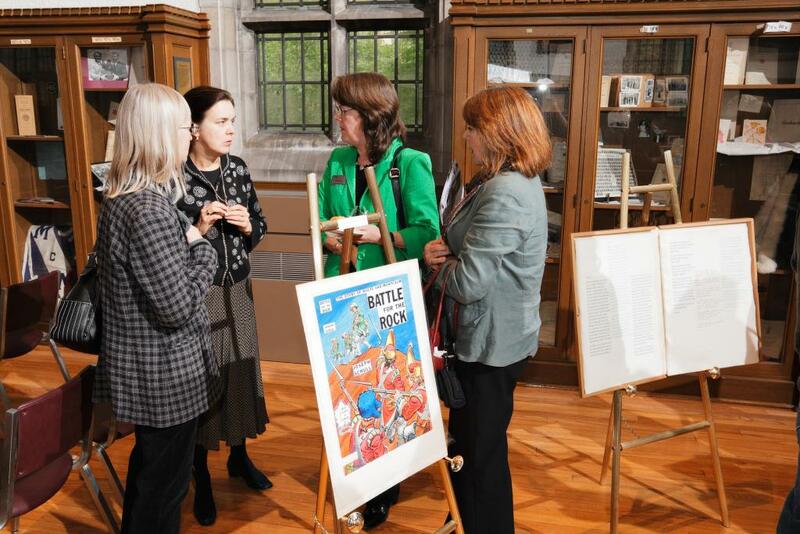 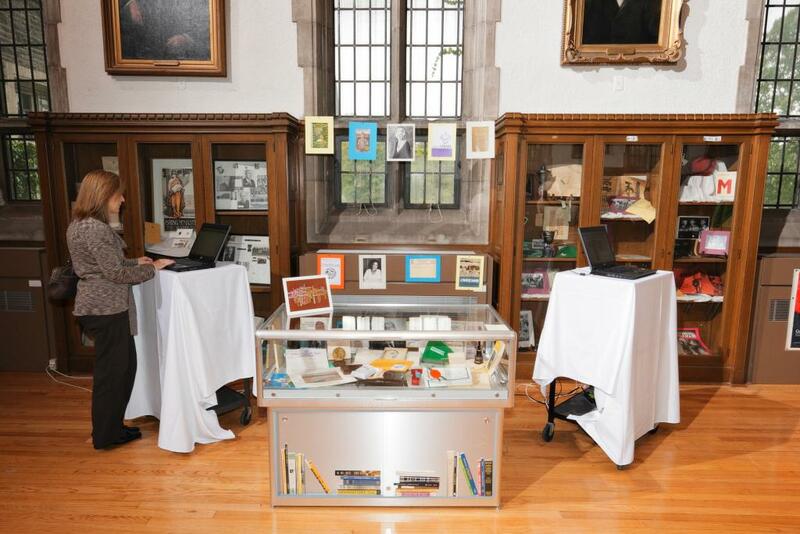 Staff from the William Ready Division of Archives & Research Collections at McMaster Library prepared an exhibition of archival materials relating to publishing and authorship for the reception. 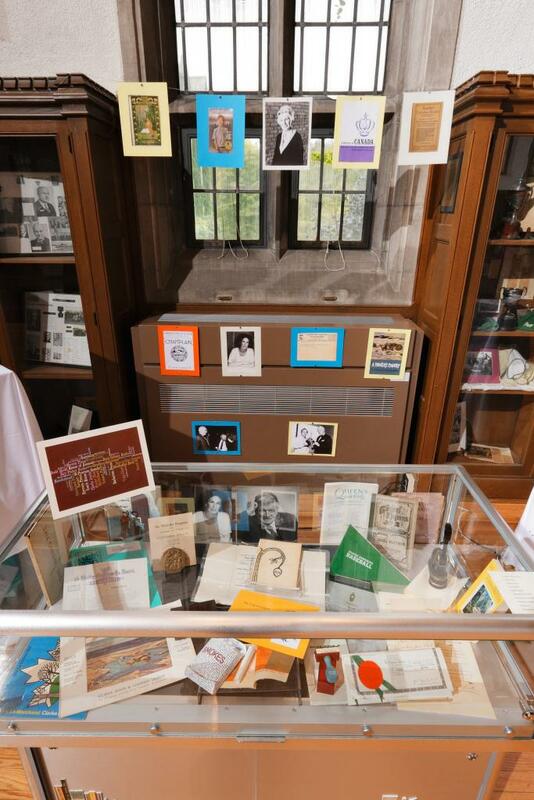 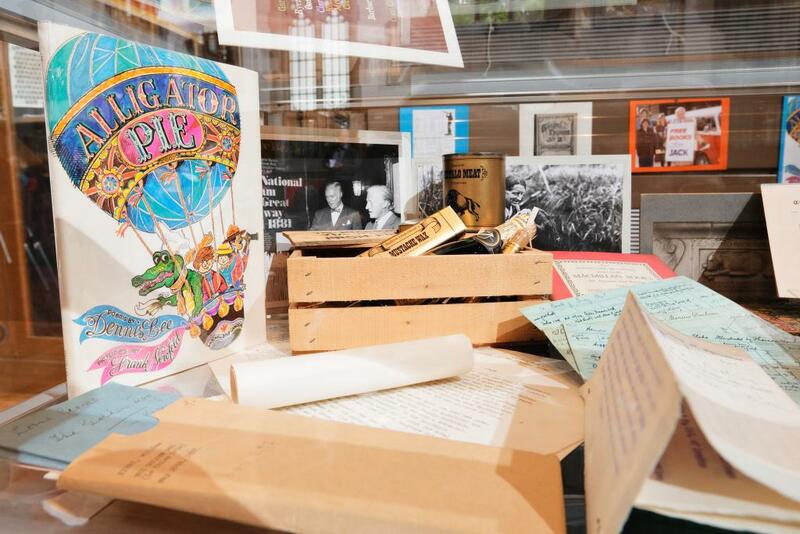 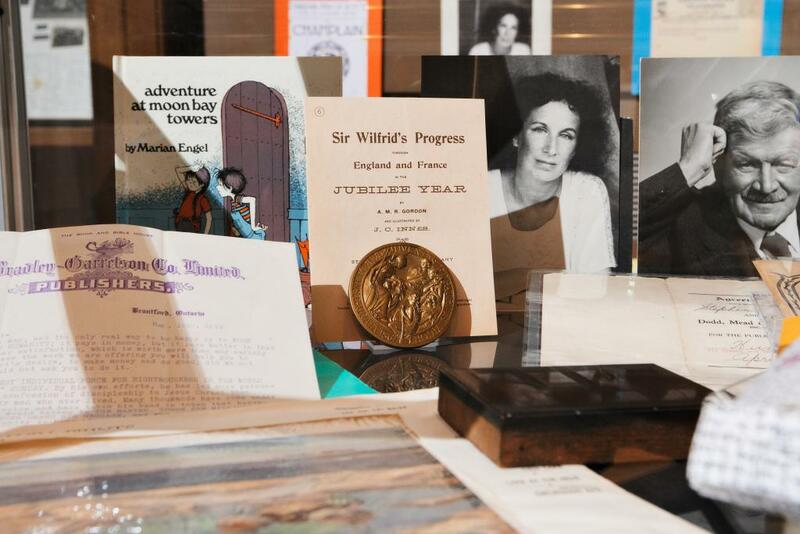 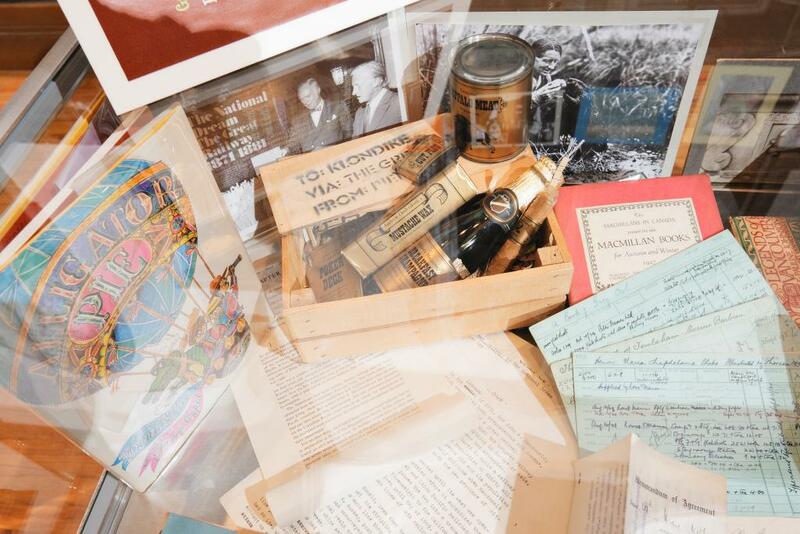 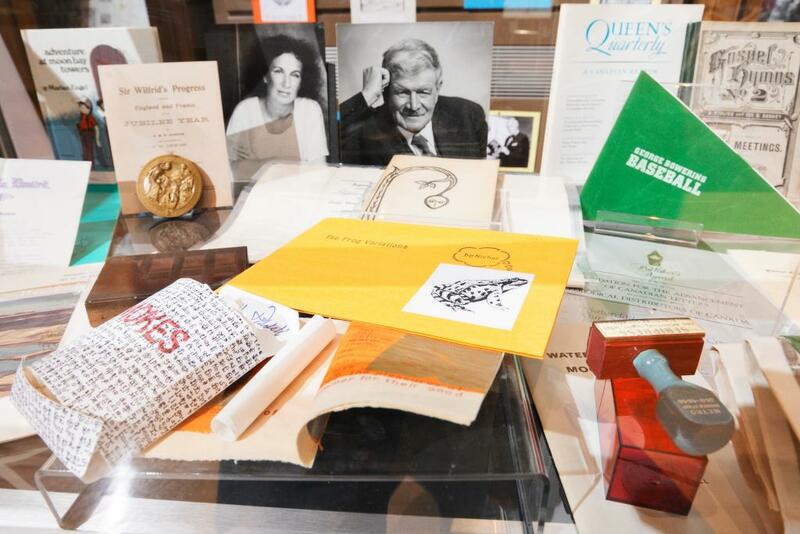 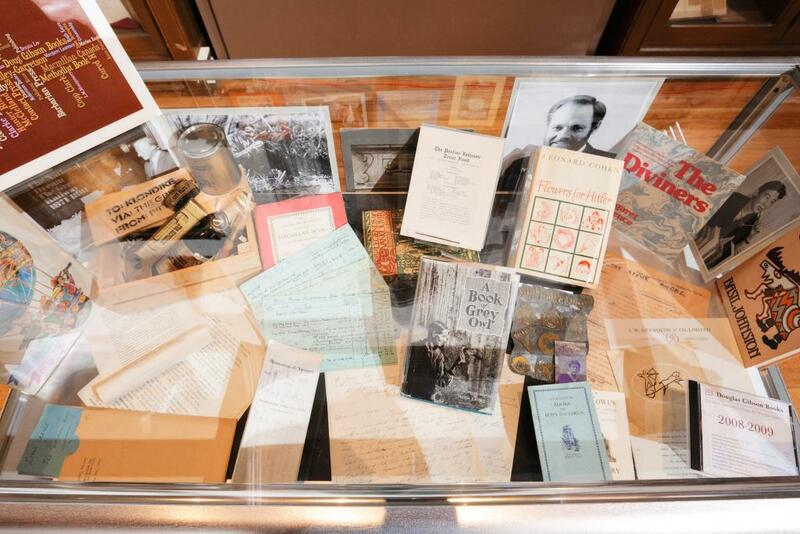 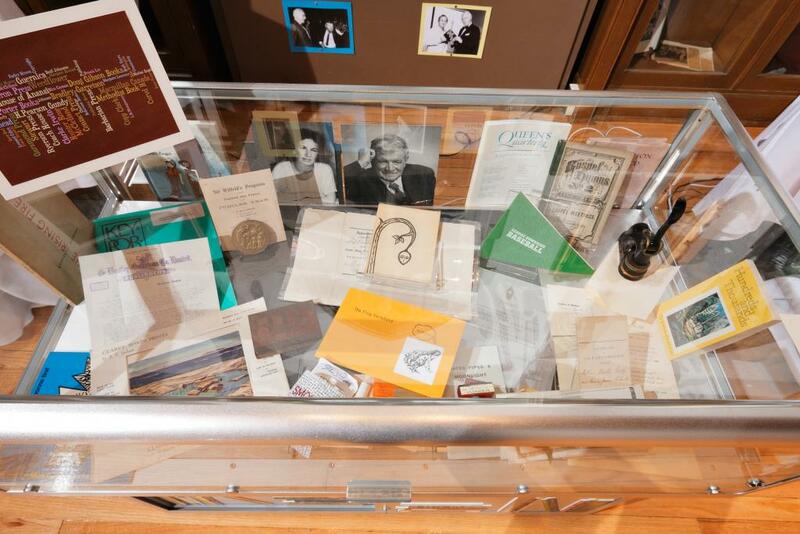 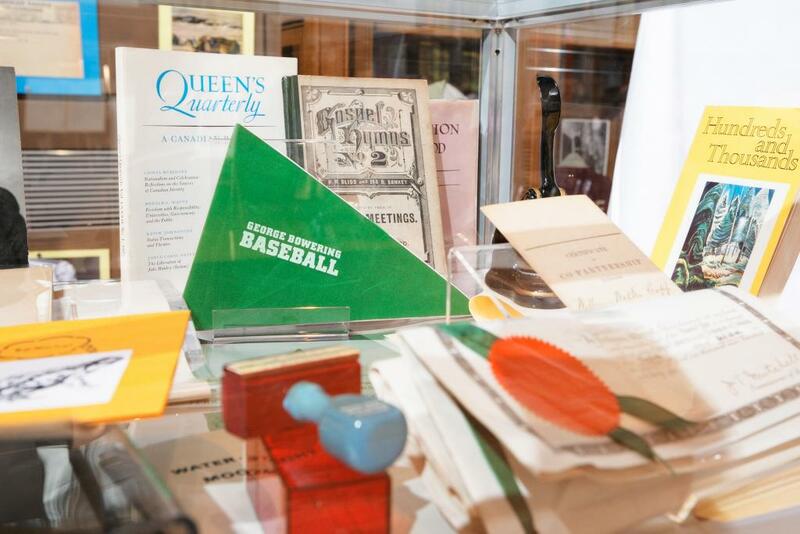 Many of these materials - photographs, letters, page proofs, and books - were featured in case studies on this website, and attendees enjoyed seeing these items firsthand. 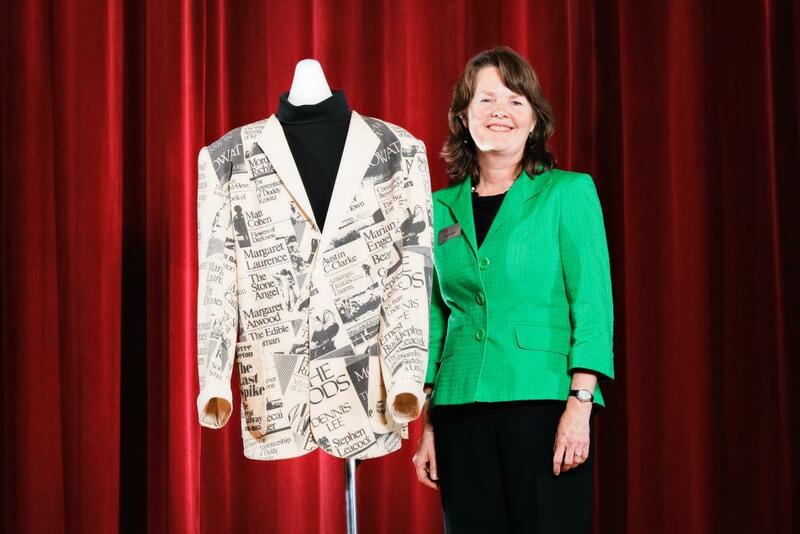 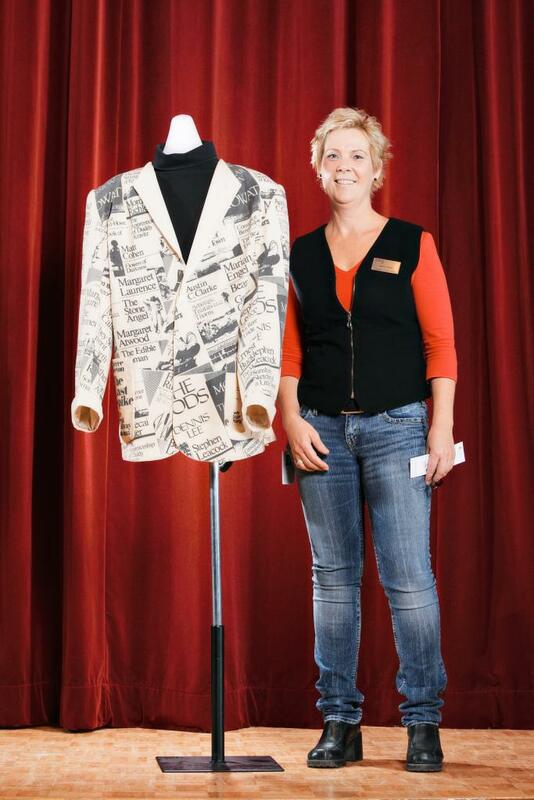 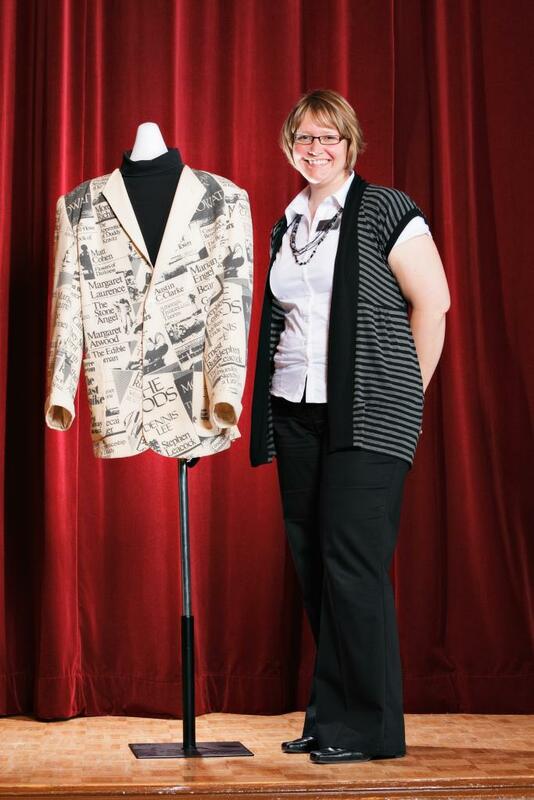 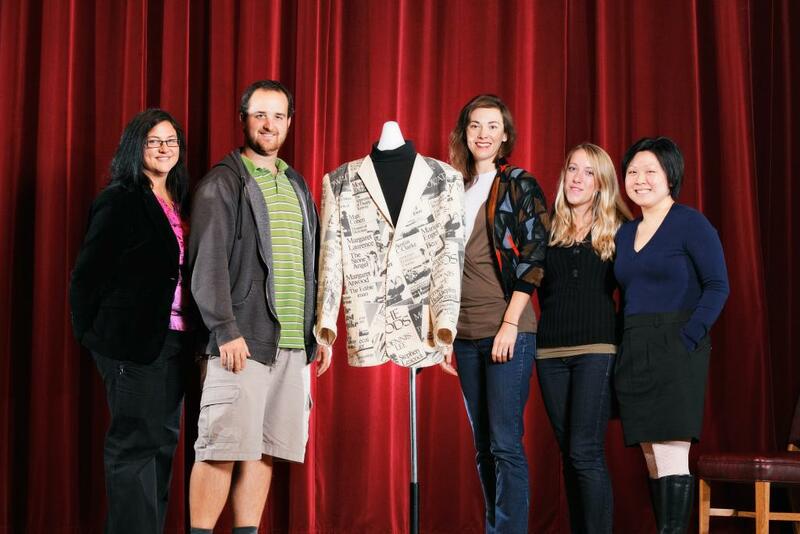 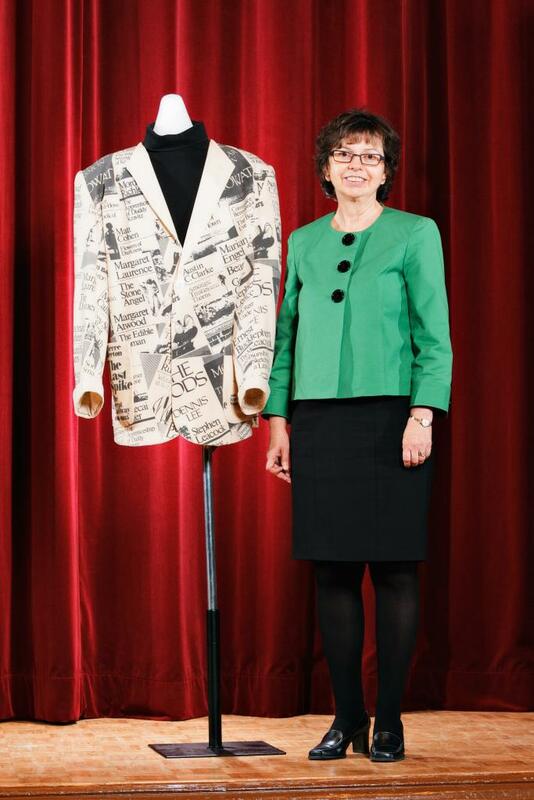 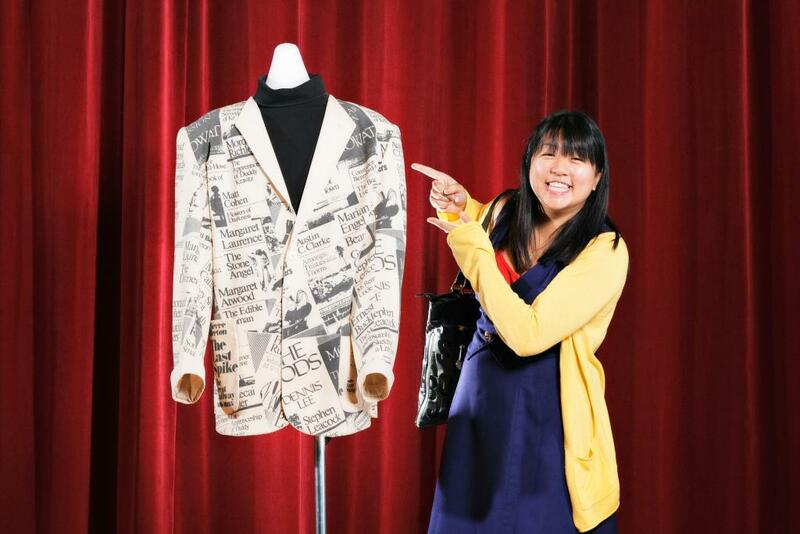 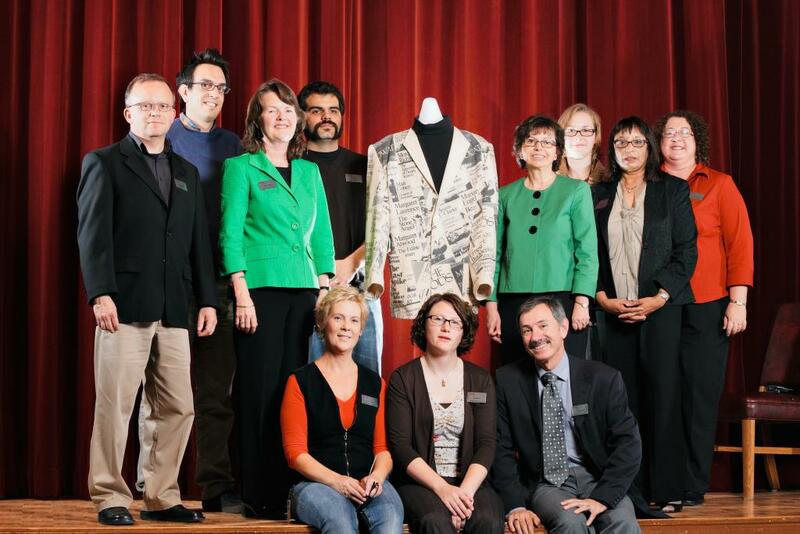 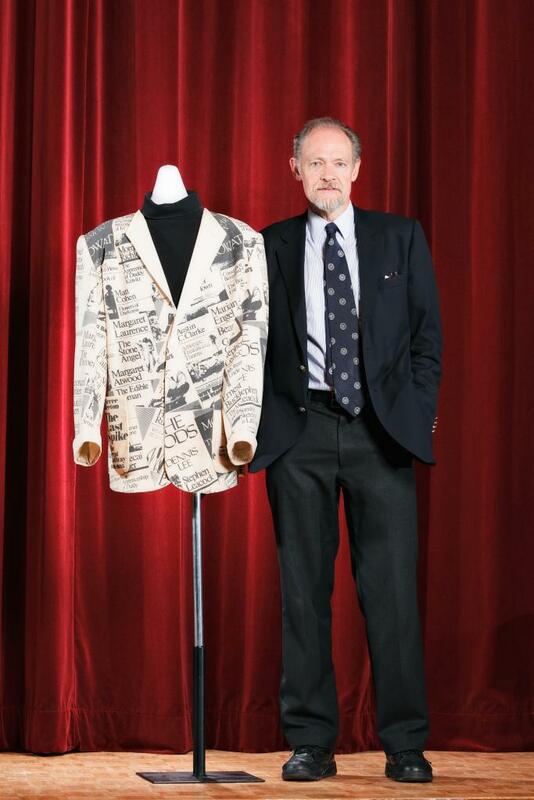 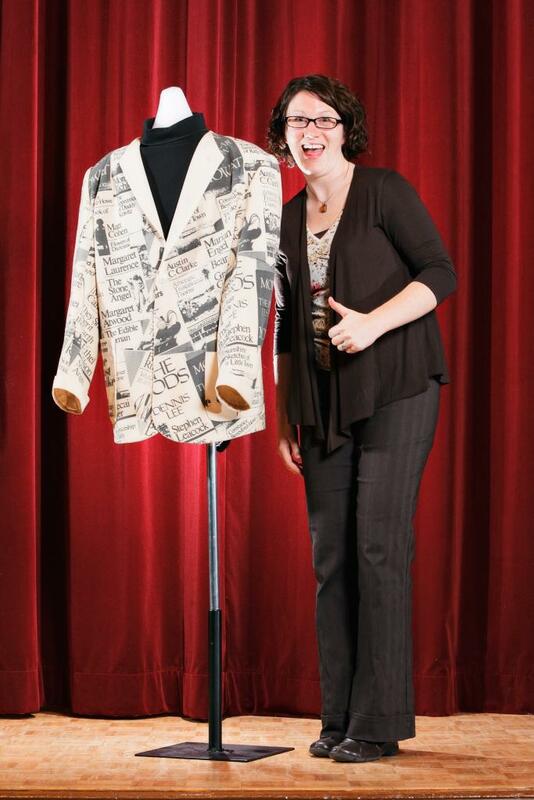 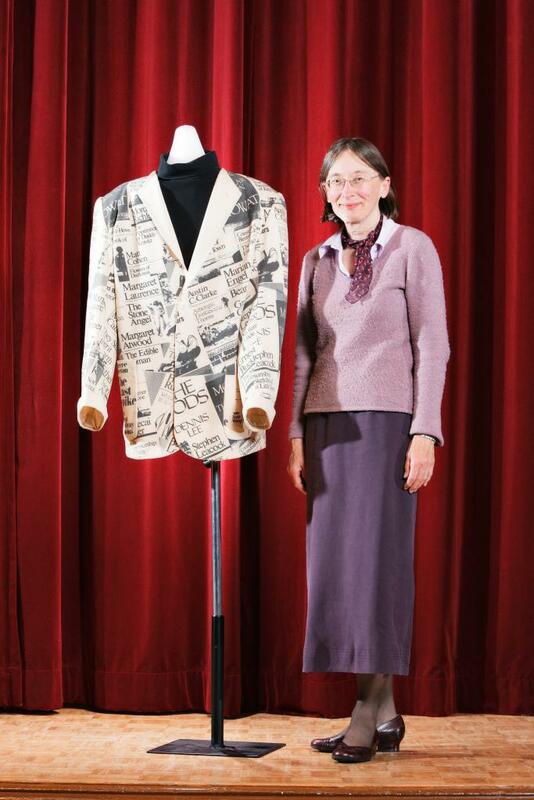 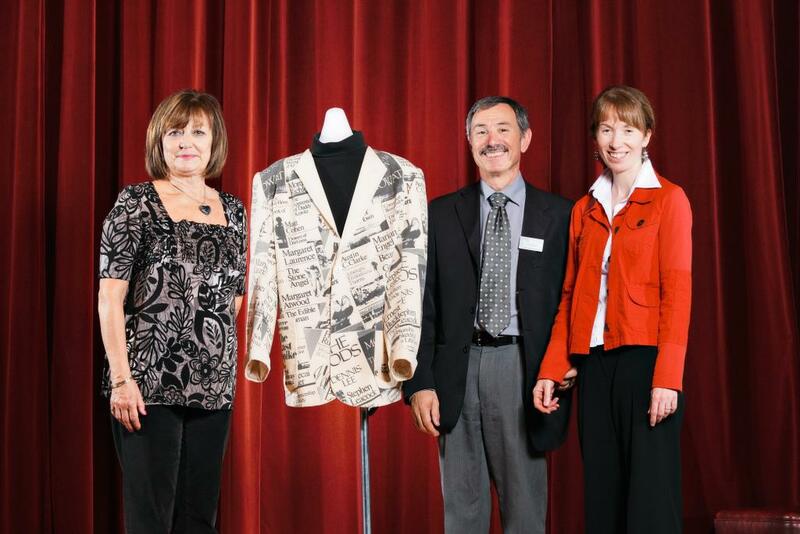 Many guests took the opportunity to be photographed with Jack McClelland's "Coat of Many Authors" - designed for the publisher by Maggy Reeves and worn by McClelland on many occasions to publicize Canadian books. 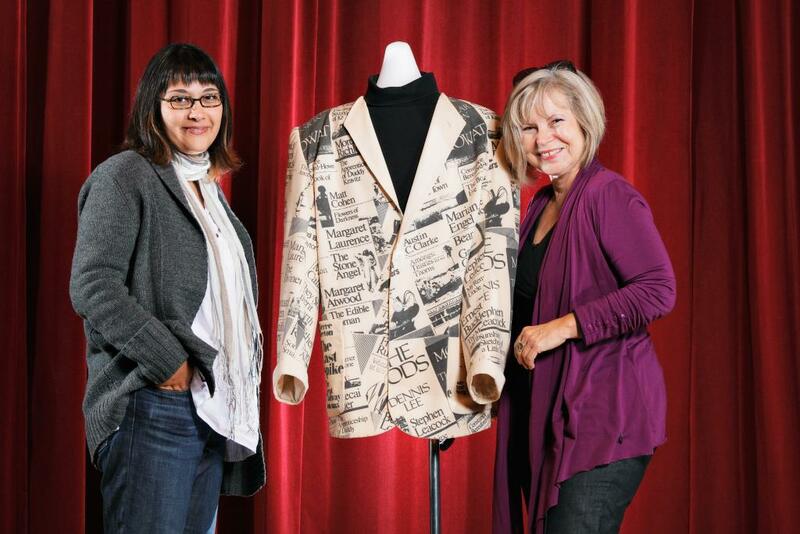 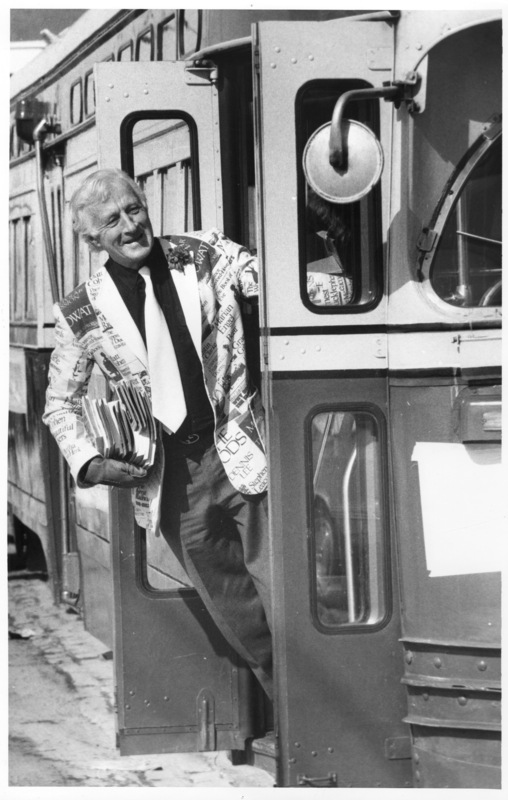 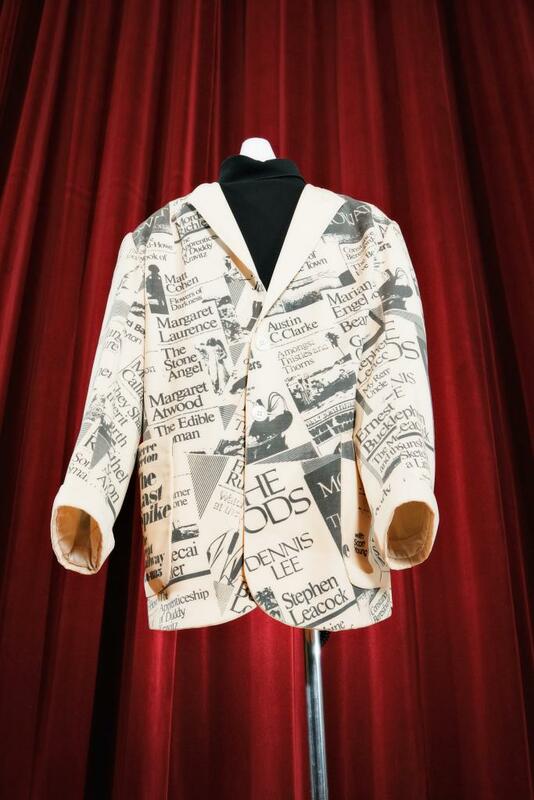 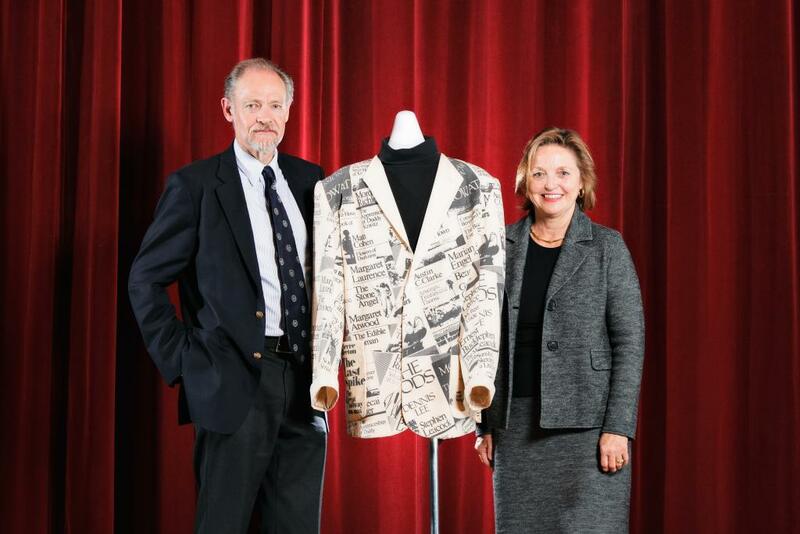 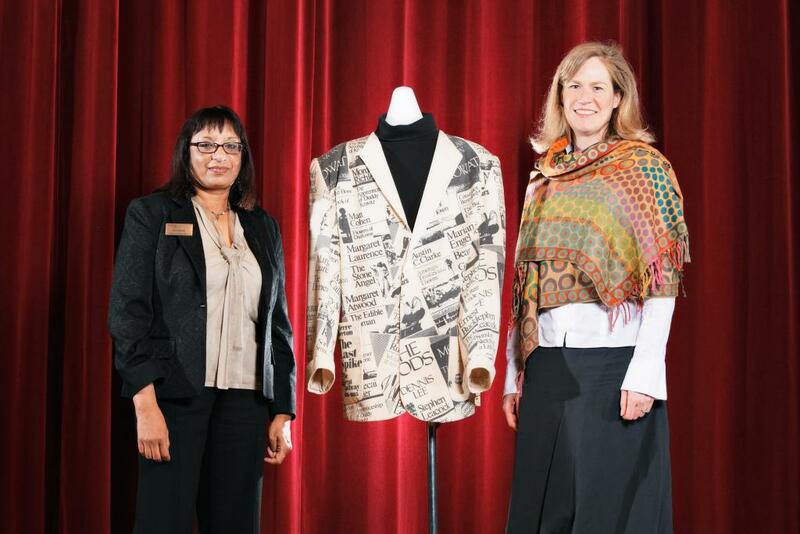 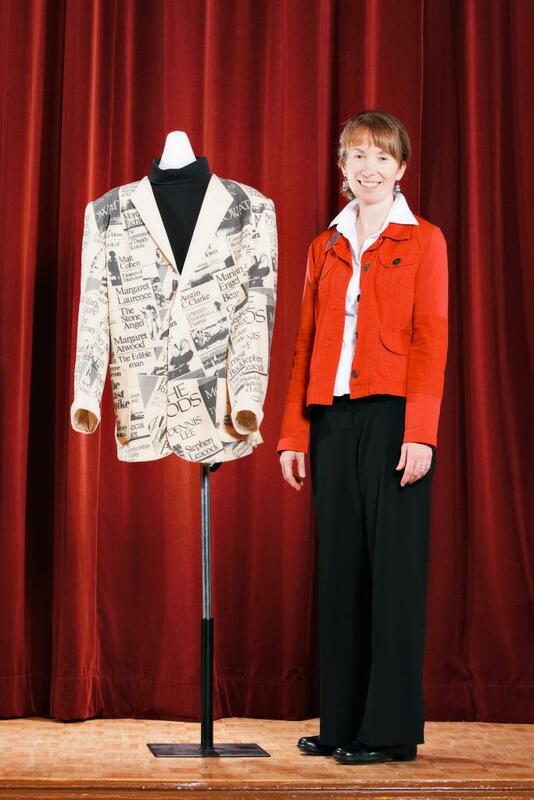 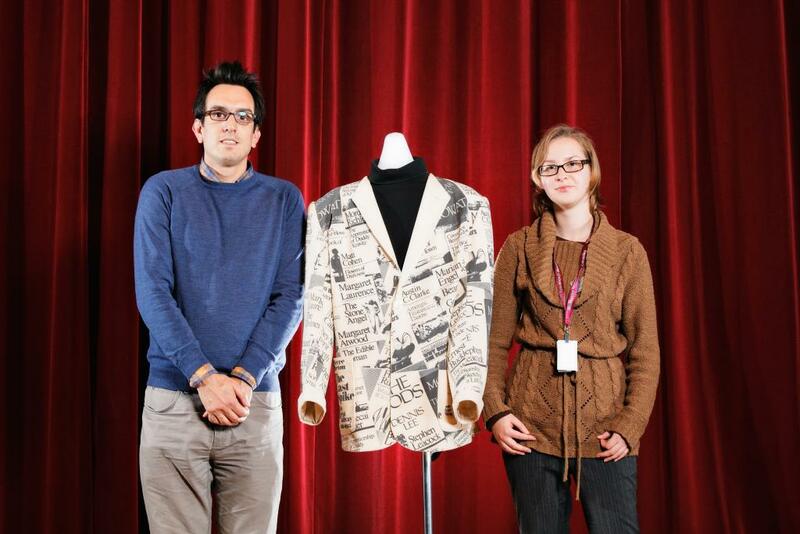 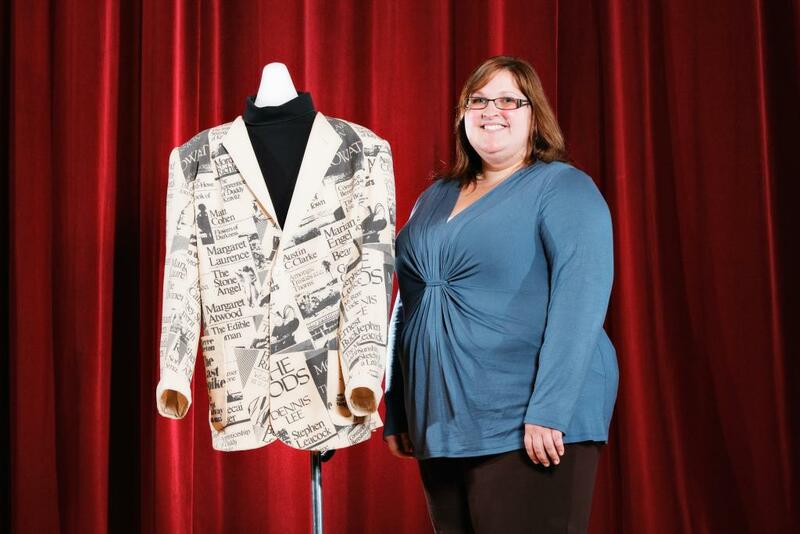 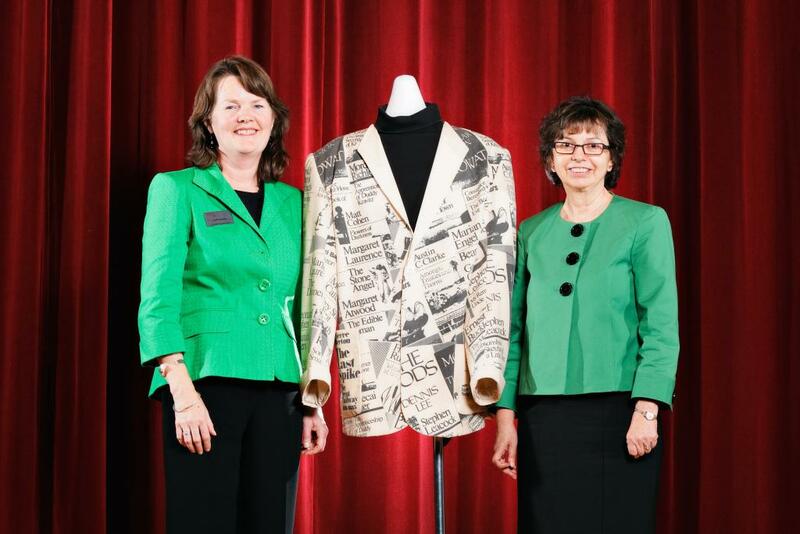 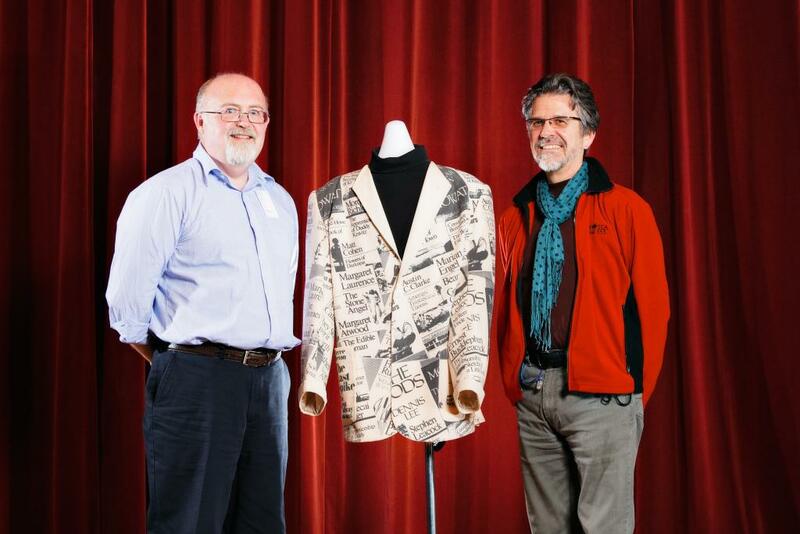 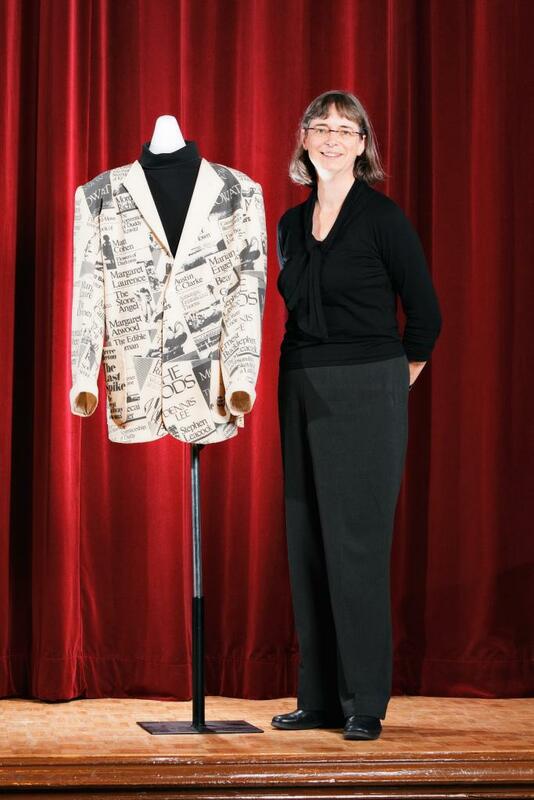 McMaster University Library is grateful to Jack McClelland's family for the donation of this coat to the Jack McClelland fonds at McMaster, and for granting permission to display and photograph the coat at the reception. 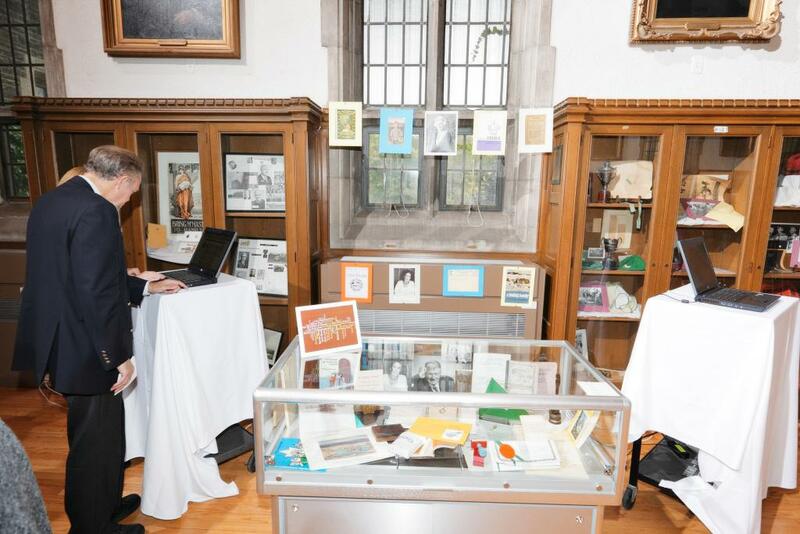 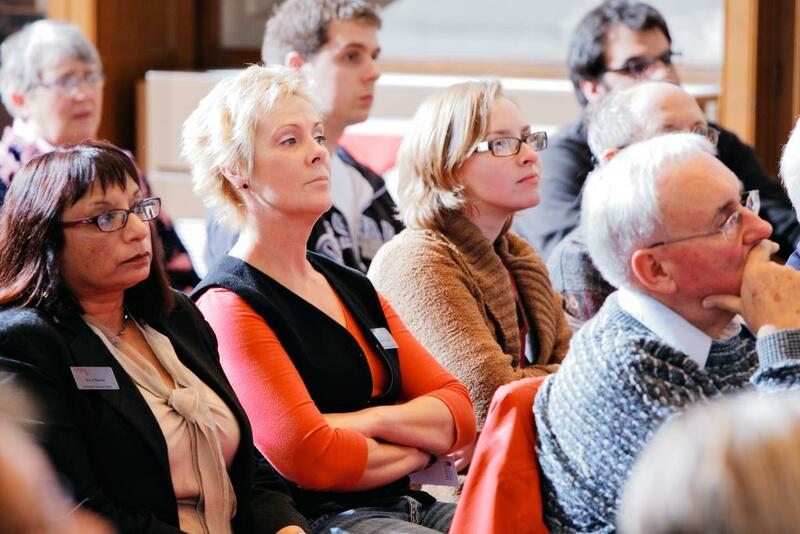 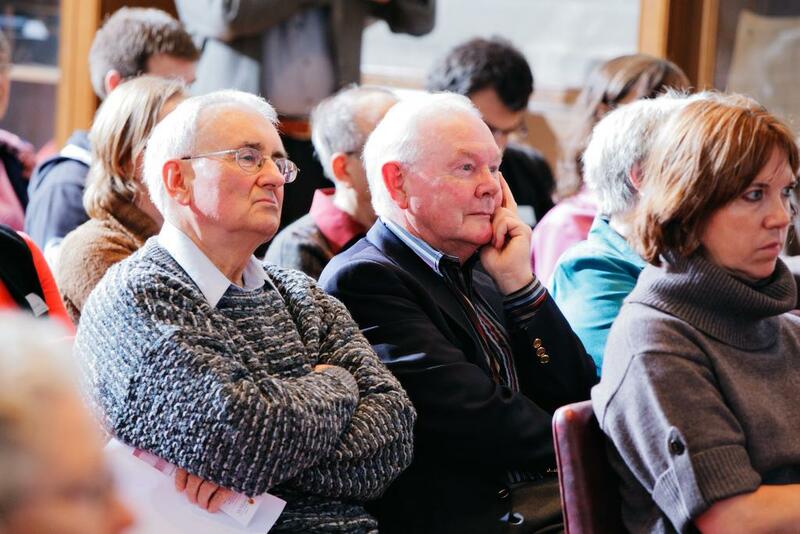 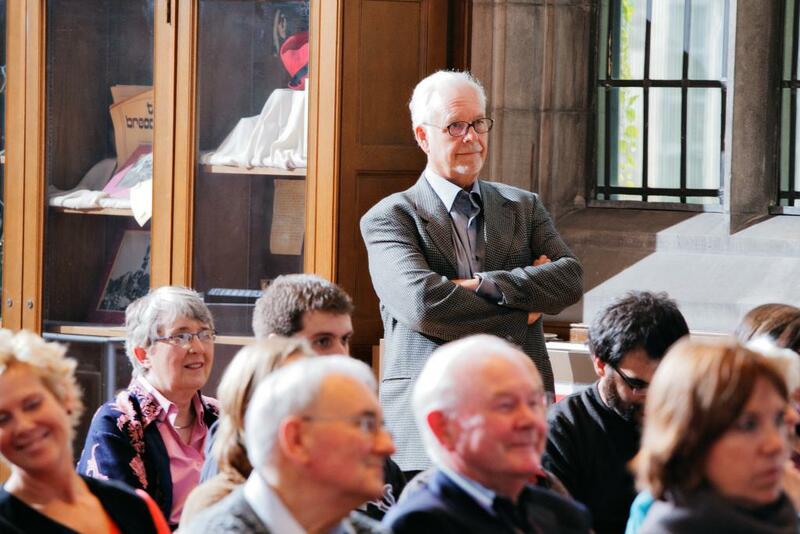 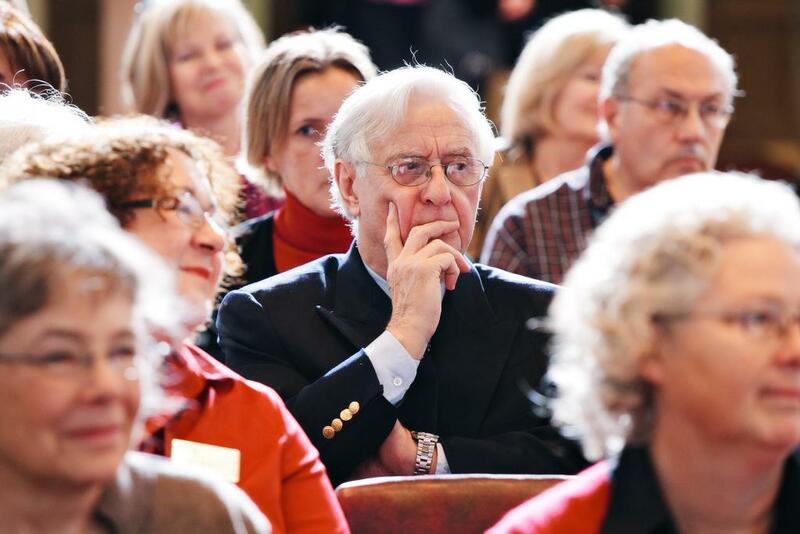 Guests at the reception included members of the publishing community and family and friends of people and presses featured in the website, among them Suzanne Drinkwater, daughter of Jack McClelland, Peter Saunders of Garamond Press; and Paula Mickleburgh, daughter of Brita Mickleburgh. 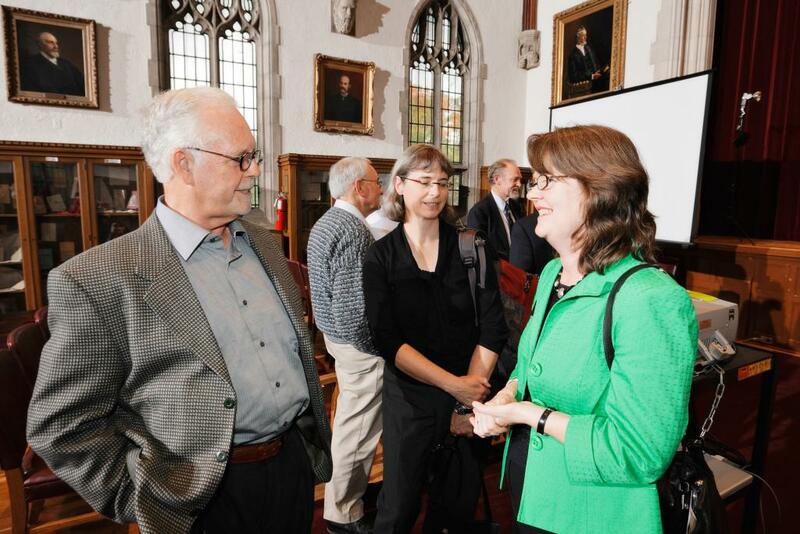 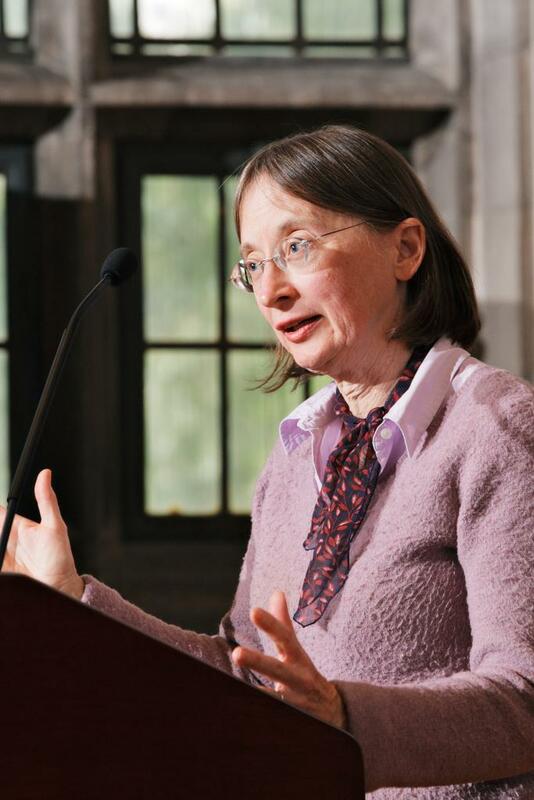 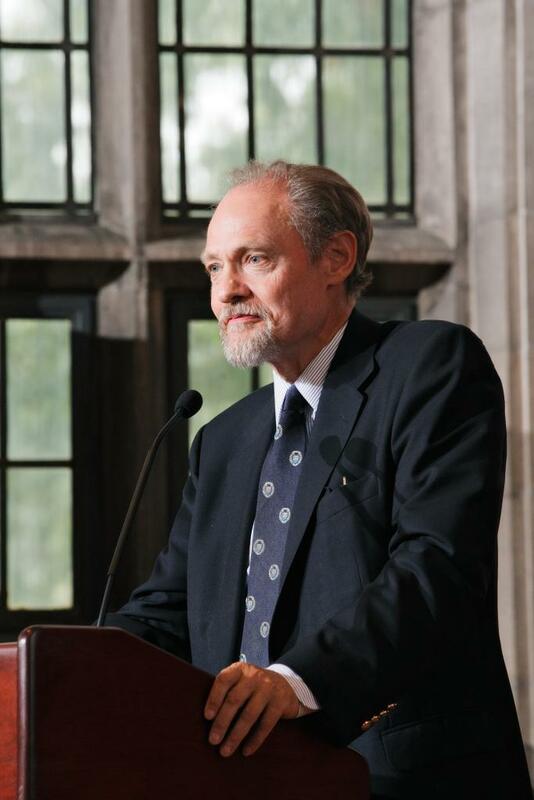 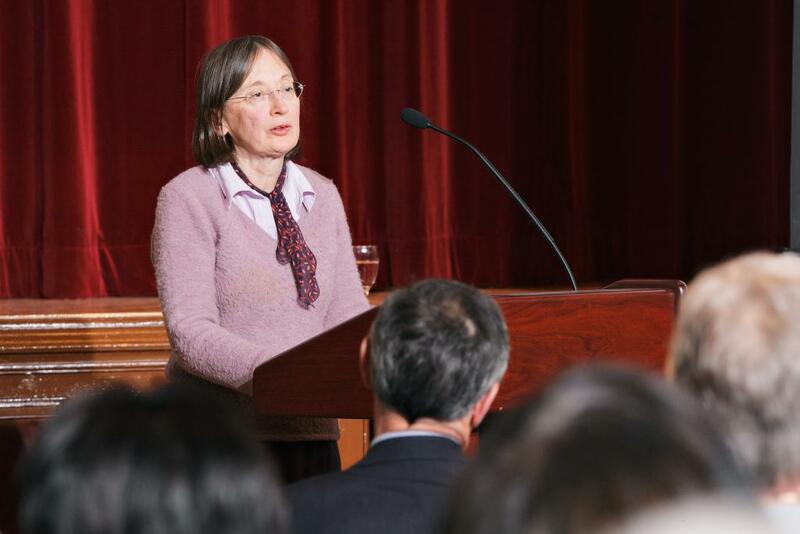 Many authors whose case studies appear on the site also attended, while others sent messages of congratulations. 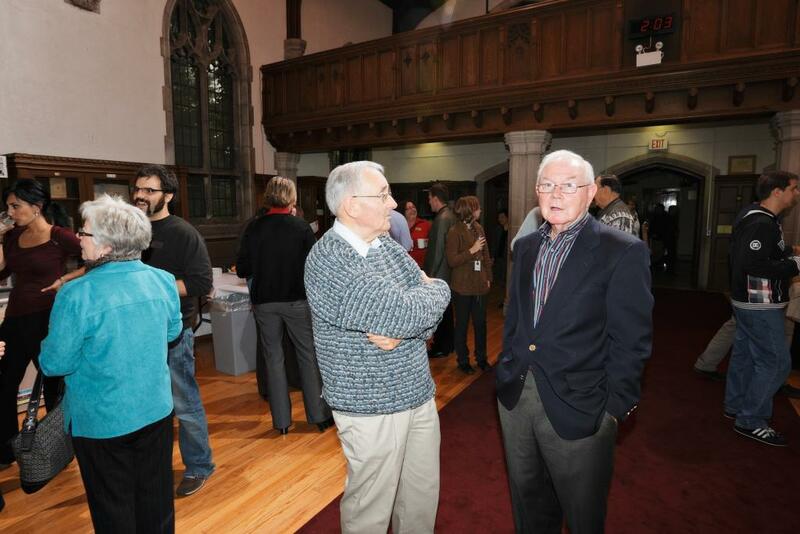 Other guests included McMaster library patrons and staff, and the website team, who were gratified at the large turn-out and the enthusiastic support for the site. 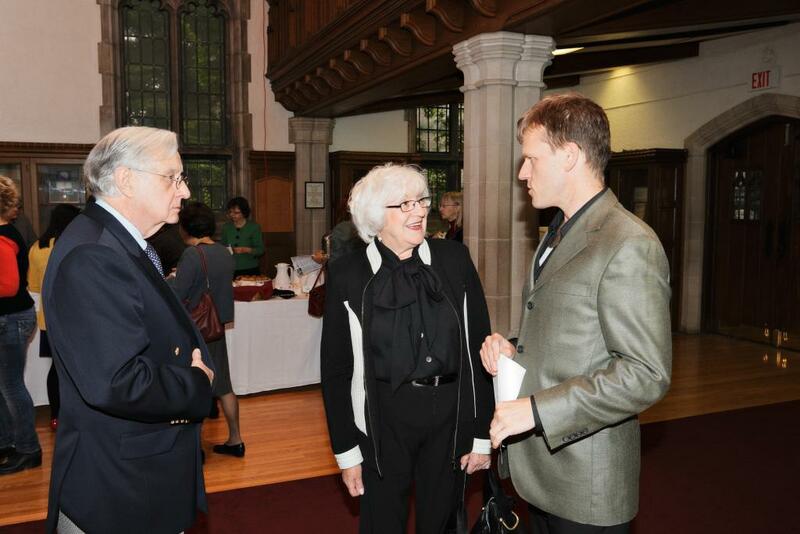 All reception photographs were taken by Ron Scheffler for McMaster University.